Coach Earle Bruce’s commitment to raising funds for Alzheimer’s research lives on at Ohio State. When you asked Earle Bruce about football, he would sit up a little straighter, raise his voice a bit and show much of the same fire he had when he roamed the Ohio State sidelines as head coach from 1979 to 1987. His reaction was much the same when he was asked about Alzheimer’s, the cognitive disease that hit his family hard. His own struggle with the disease ended with his death at age 87, and he had long been passionate about finding a cure. He channeled that passion through philanthropy. Some might find it illogical to give back to the university that fired you. But Bruce, who lived in Columbus until his death, always considered himself a member of Buckeye Nation. He long believed in his alma mater’s research prowess, and he considered his effort well spent when the money he raised helped ensure other families could avoid watching loved ones deteriorate. His struggle with Alzheimer’s became public in 2017, and it had previously afflicted his two sisters. It struck Bruce’s younger sister, Bev, in her prime. “It’s not memory so much, but it’s when you go out to your car and you go to go home, and you don’t make it. You don’t know where to go,” he recalled. “My mom knew he had it, and she used to say, when I walked in the door, to Dad, ‘This is your son, Earle.’ ‘He knows me, Mom,’ I would say. Dr. Doug Scharre, director of cognitive neurology at The Ohio State University Wexner Medical Center, praised the Bruce family’s efforts to help fight the disease that afflicted Earle’s father. Every year, current coach Urban Meyer speaks at the always-sold-out Beat Michigan Tailgate. Buckeye greats such as Keith Byars come back for the Athletes against Alzheimer’s Radiothon. And Bruce and his daughter Lynn later began a third fundraiser, Boots and Buckeyes, at the All American Quarter Horse Congress at the Ohio Expo Center. The events have raised more than $1 million for Alzheimer’s research. Bruce said, noting that Alzheimer’s is the fifth-leading cause of death among Americans 65 and older. “And it’s growing. There’s only one way to stop it, and that’s to get the research going.”That’s a coach’s mentality: Faced with a tough opponent, beat them any way you can. And Bruce learned that from one of the best, Woody Hayes. 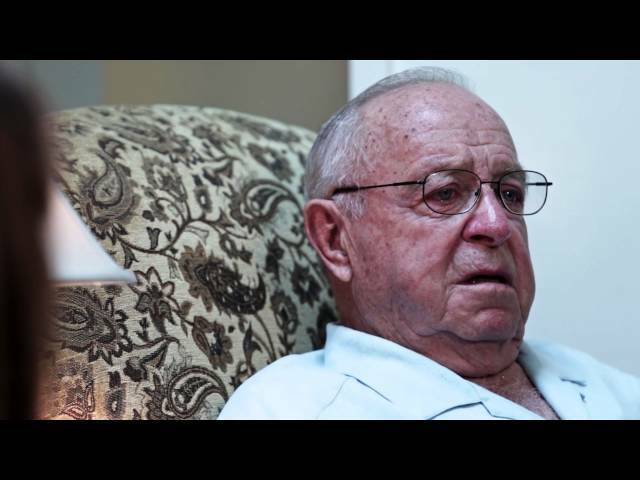 Honor Earle Bruce's legacy by making a gift online to help improve the lives of people with Alzheimer's Disease.